Stacy Abram is off the mark, concerning reasons for her loss in the just concluded election in the state of Georgia, in the United States. A little education about the state's civil service in the state of Georgia, and a little research, are all that are required, to know why a Republican is in the governor's lodge there. It is true that the Democratic Party was the ruling party in Georgia up to three years after the state's civil servants were thrown into the employment-at-will against their will in 1996. The Democratic Party lost the governor's house to the Republican party in 2003 following second election after the employment-at will-status was foisted on the state's civil service, and the Democratic Party had been struggling unsuccessfully to regain the governor's lodge. Republican Party' s candidate, Brian Kemp, now governor elect of Georgia, who was Abram's opponent in the just concluded election, had enough margin of victory against Abram for Abram to concede and congratulate Kemp, but she held off doing that for several days, saying that all votes must be counted. And when she eventually conceded, she described her own concession as not a concession. One would think there may have been an election fraud as the reason for her statement. But was there any election fraud in Georgia? There was no election fraud in Georgia. The reasons advanced by Abram for her statement, according to the a CNN report, are threefold and they have no relevance to the just concluded election. She called the winner an architect of voter suppression. She spoke of eight years of deliberate and intentional systematic disenfranchisement, disinvestment and incompetence under Kemp, Kemp being the immediate former secretary of state in Georgia. But why did Abram spoke only about eight years and not about how a major public policy instituted when the state was under the control of the Democratic Party in 1996 for the state's civil service may have affected the Democrats' political fortune in the state? Sonny Perdue became the Republican governor in the state of Georgia in 2003 since reconstruction of 1872 and the Republican Party gained control of the chambers of legislature in 2002 and 2004 respectively. "The journal of 'Public Administration and Research and Theory" reported that the state of Georgia transformed its civil service in the mid-1990's. Consequently, all employees hired or promoted after July 1,1996, became unclassified and were required to serve on at-will basis. Meaning that employees in the state of Georgia civil service hired or promoted after July 1, 1996, were disenfranchised from life entitlements, no benefits and can be sacked without redress, a situation equal or worse than disenfranchisement from voting. According to The U.S.50, Joe Frank, a Democrat, was the state governor between 1991-1996. The Democrats managed and held to the Georgia state's governor's lodge with the election of Roy Barnes in 1999, given the power of party incumbency and the fact that voters'disenchantment don't immediately transform into electoral liability. 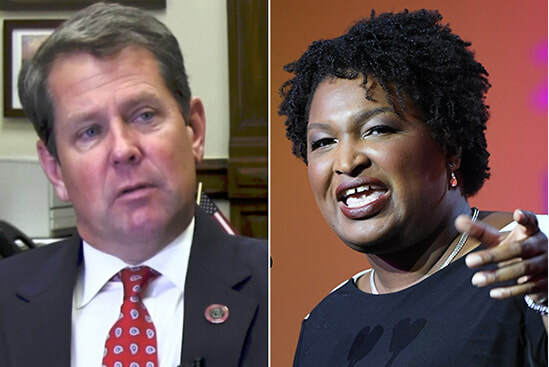 The political situation flipped against the Democrats in 2003 with the election of a Republican Party governor, and the Democrats have been struggling to regain the governor's seat in Georgia. For 15 years, the Republican has been in control of the governor's seat in Georgia and the Democrats in a fierce struggle to regain the seat. Before 2003, the Democrats were in charge for 131 years. The current near loss of the Republicans can be attributed to a possibility of the continued employment-at -will policy. And if the Republican party does not throw that policy out, the policy may haunt them and return the governor's lodge back to the Democrats. This reporter had made the submission about the Democrats struggle in Georgia during a Public Administration's classroom discussion before the election. The election has only buttressed his position. Well, all the three elections that had made front page news for the losers refusal to concede had been resolved, and there were no changes in any of the election results. The winners have remained winners and the losers have remained losers.